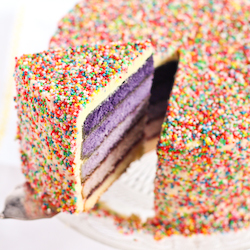 I had a pretty awful week last week and it was bloody hot over the weekend, so the last thing I wanted to do was turn on my oven and bake something. I was dreaming about popsicles and icy, cool refreshments. 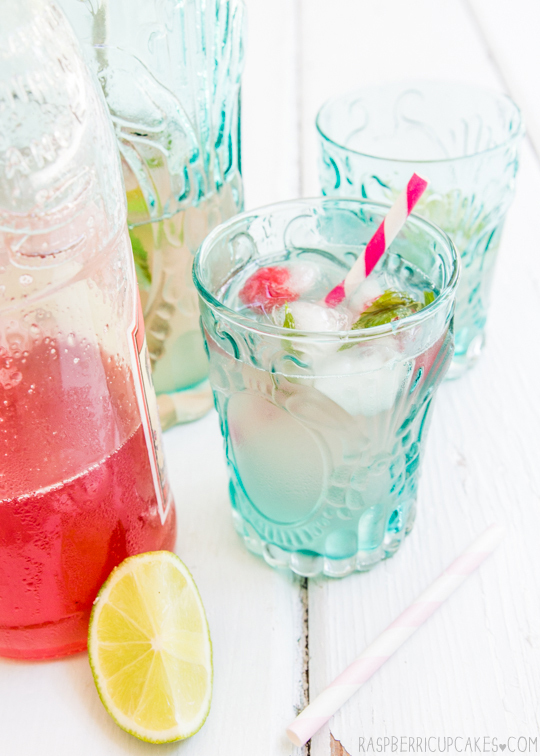 So you'll have to excuse me for not having a dessert recipe for you this week, but instead a lovely homemade cordial that will not only make a great cold drink, but is also a fantastic cocktail mixer and will make some pretty delicious popsicles too. A few months ago I saw David Lebovitz's fresh ginger syrup recipe and knew that I needed to make it. Anything ginger is up my alley. 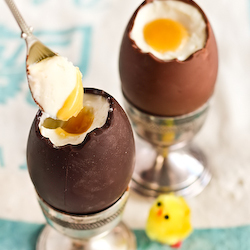 I've made the original recipe many times and it is fantastic as is, I totally recommend you try it. There was obviously no point reposting his version here, but this week I had a fresh bunch of rhubarb to play around with as well, so I decided to try a version with a bit of a twist. 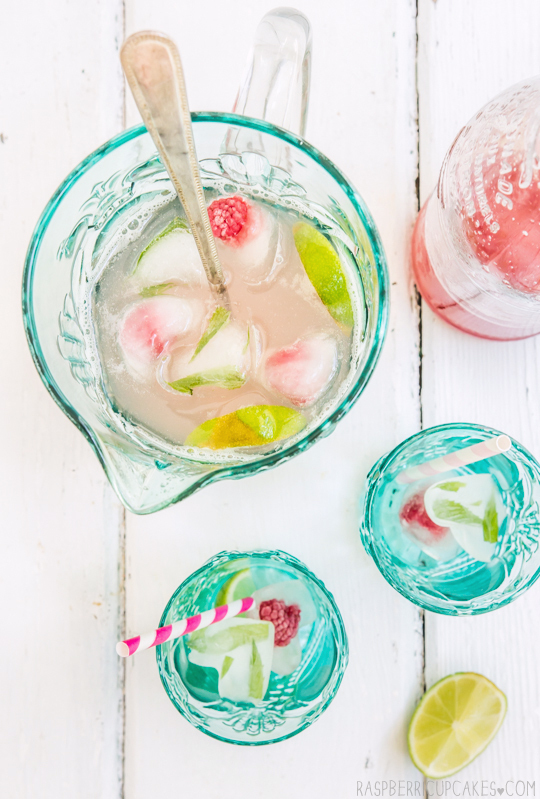 While dreaming about my wonderfully cold drinks, I kept imagining cups mixed with fresh raspberries. It might seem a little excessive when you consider the price of fresh raspberries, but it looks so pretty and is so perfect for summer. So I made up a batch of ice cubes with fresh raspberries and bits of fresh mint leaves frozen into them. SO PRETTY. I included instructions below but it seems a bit silly to be writing instructions on how to make ice. Yep, I couldn't resist pulling out my heart-shaped ice cube tray for this. And then I realised Valentines Day is coming up shortly, so I guess this would be a great idea for that...even though I usually tend to avoid anything heart-shaped for the day because it's so overdone and cheesy. We don't really celebrate it in my house since my husband hates the day, but feel free to use this idea for your Valentine. 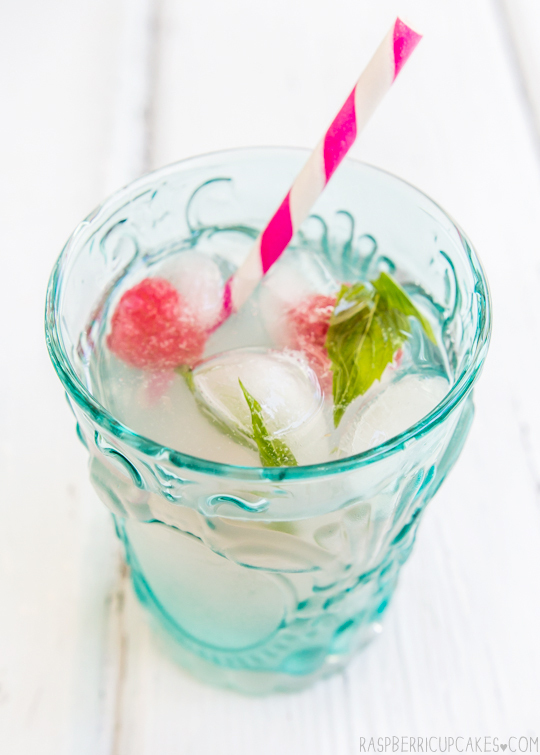 Once the ice melts you have the mint which makes a great extra flavouring for the drink and you can eat the raspberries. Pretty AND helpful. I didn't have any booze in the house so I couldn't test it out as a cocktail but I imagine it would be fantastic. 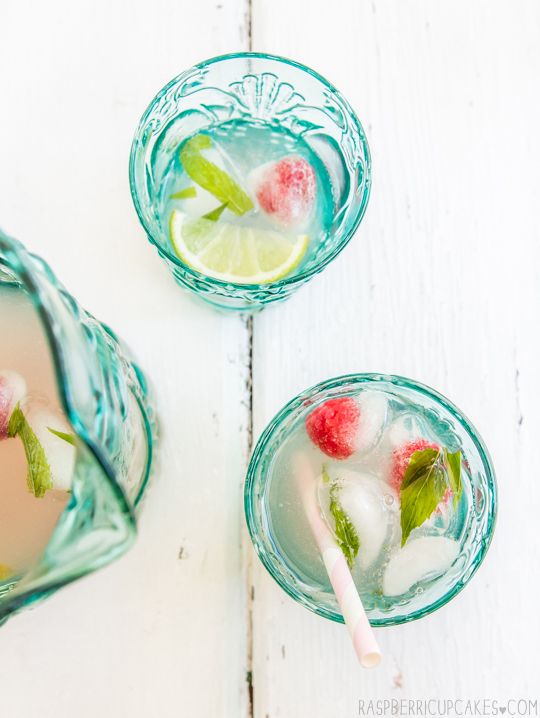 Rhubarb and ginger always work great together, however this is definitely a drink for people who are already a big fan of ginger (as it's rather spicy). I love the light pink hue the rhubarb gives the drinks when you mix it up (it's quite a bright pink in its concentrated form, which is also great). I definitely think it's worth making this up with the fancy ice cubes, and it looks so pretty in my shiny new blue-green jug and glass set! This set is actually the very first thing I bought for my new house. Not something useful like a washing machine or a bed; I bought a jug with matching glasses. I was standing there staring at the pretty blue-green glass and imagining how great they would be for serving cold drinks on my sunny new porch, so I had to get them. Of course I need to get some tables and chairs for my porch and to get rid of my ridiculous mosquito situation before I can actual realise this dream, but at least I have the pretty glasses. Chop ginger into thin slices, then run knife over the slices to roughly chop it into smaller pieces. Place chopped ginger, rhubarb, water, sugar and salt in a large saucepan. Heat to a boil, then reduce the heat to a steady simmer, and cook for 45 minutes to one hour. Let cool, then strain the cordial through a fine-mesh strainer. Store the strained cordial in the refrigerator, covered, until ready to use. (I kept mine in an airtight bottle) It should keep for about 2 weeks in the fridge. 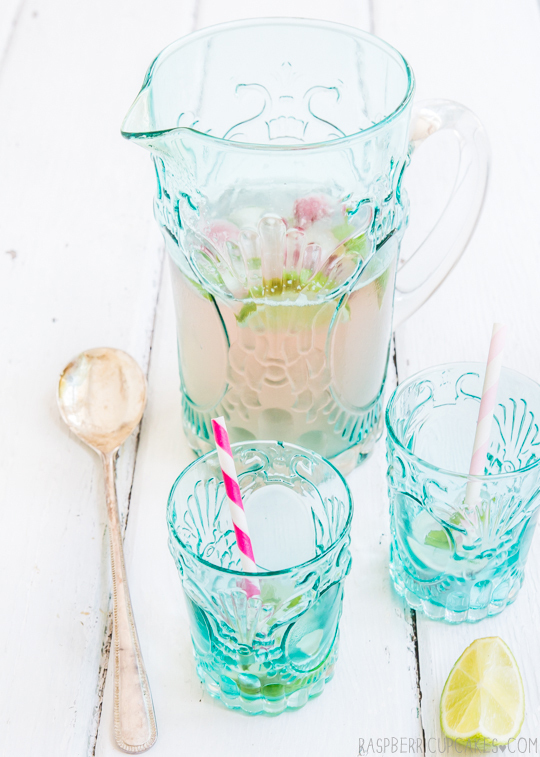 To serve; Mix cordial with water or soda/sparkling water and a squeeze of fresh lemon or lime juice. 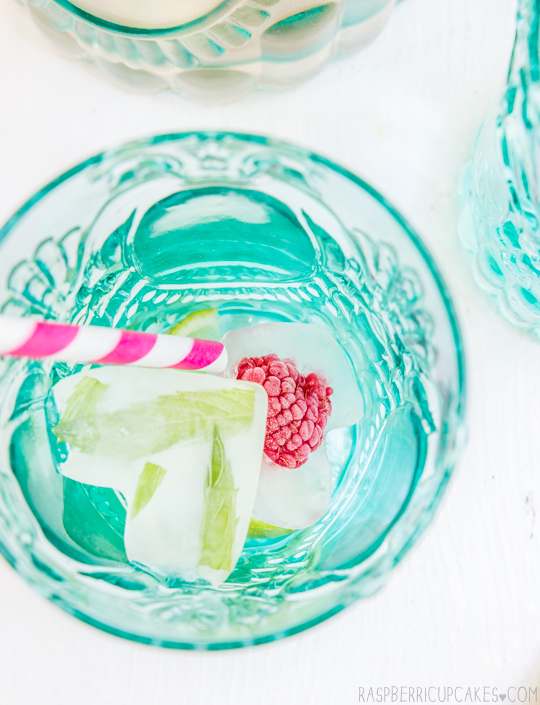 Add some mint and raspberry ice cubes (directions below) if you want to pretty it up. Adjust amount of cordial to taste, I think a good ratio of cordial to water is about 1:3 depending on how sweet you want it. Will also make a great cocktail mixer or can be mixed with water to make some fantastic popsicles. 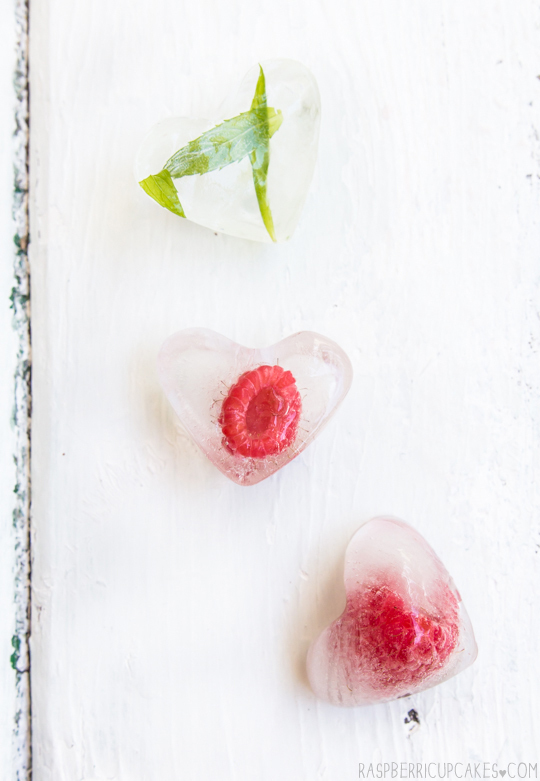 In your ice cube trays (heart-shaped ones are great for this), place one raspberry per ice cube space, or a rip up a few small pieces of mint leaf. Fill trays carefully with water, you may need to gently press the raspberries down with a fork to remove any big air bubbles. Freeze until ready to serve, at least 4 hours. would you be able to use less ginger to make it less spicy? Drinks like this are so fun - YUM! Wow superb Looks :) loving the presentation ! you dont have any booze in your house? let me remedy this..
Ooh where did you get the glasses from? They are lovely! 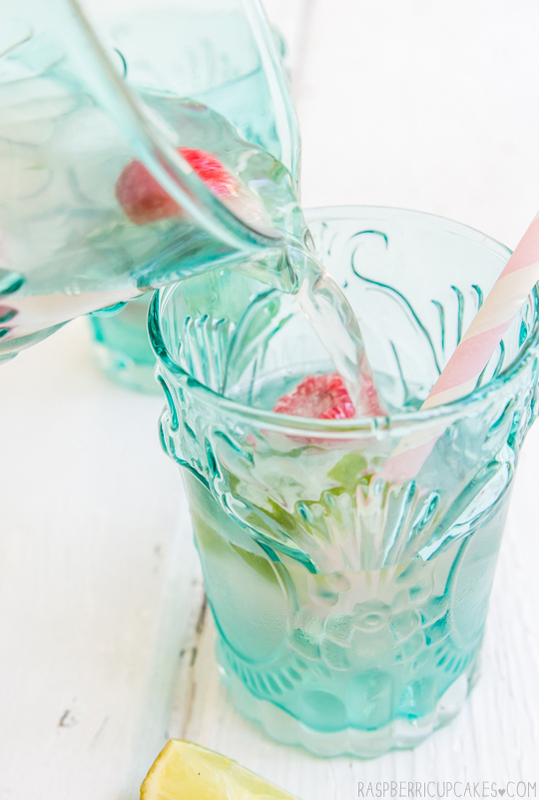 Sounds so refreshing and I love the glasses too! Ohhhhhhhh my god, completely craving a glass of this now!! 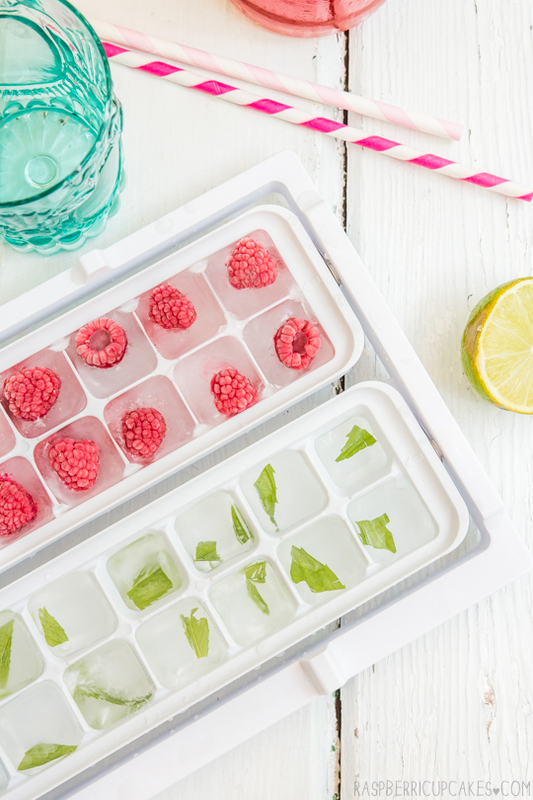 I love the idea of the raspberries inside the ice cubes, so clever! 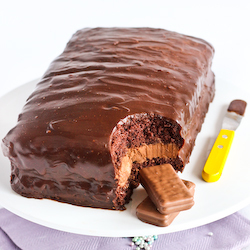 I'm hosting a summer tea party soon, so I'm definitely going to try making something like this :) Thank you for the recipe and inspo! I LOVE the ice cubes and shall STEAL this idea immediately! WOW. How cute is the icecube idea? 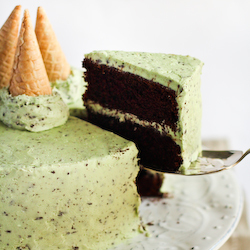 I love the idea of freezing herbs and berries to add something special. This is so clever. I only recently started making ice cubes from tea for my iced tea but this is even better. What incredibly gorgeous glasses - where do you find such a thing?